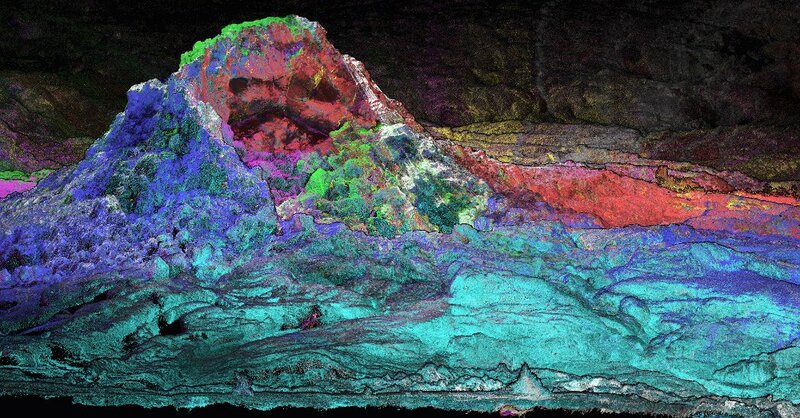 Collaboration between researchers from the Department of Forest Sciences (University of Helsinki) and end users from industry, consulting, and governmental organizations, for example, has been one of the main aims when developing forest applications within the Centre of Excellence in Laser Scanning (CoE-LaSR). Department of Forest Sciences organized a seminar for stakeholders to present the latest research and results using laser scanning for precision forestry. The seminar also reached students and other faculty members from the Department of Forest Sciences apart from the researchers of the CoE-LaSR. 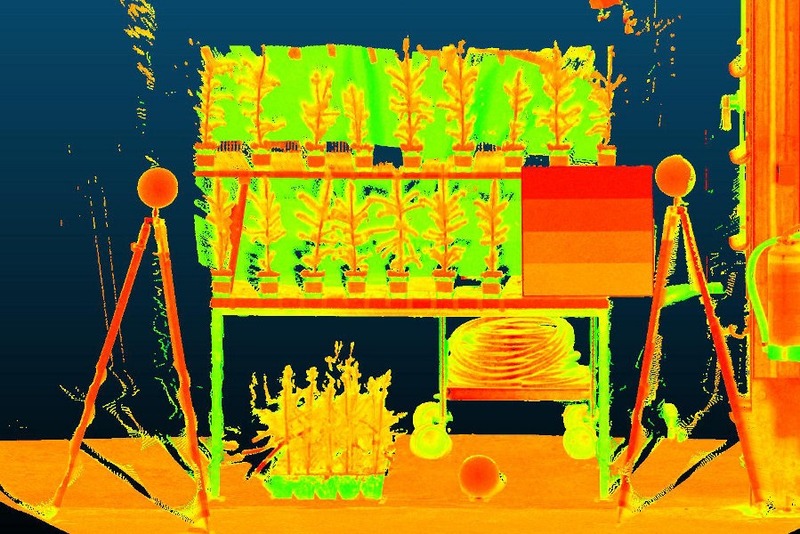 Measuring intensity of seedlings of Norway spruce with terrestrial laser scanning. © Centre of Excellence, Samuli Junttila. During the afternoon seminar, recent research related to especially TLS and its application in forest mapping and monitoring were presented. The topics included, among others, identifying dead wood, measuring and modelling tree structure and growth as well as health status and wood quality. Furthermore, presentations included experiences from tree species detection and use of augmented reality for harvester drivers. Detected dead wood from terrestrial laser scanning data. © Centre of Excellence, Tuomas Yrttimaa. Intriguing discussion between participants and presenters emerged especially towards the end of the seminar which continued with a panel discussion. 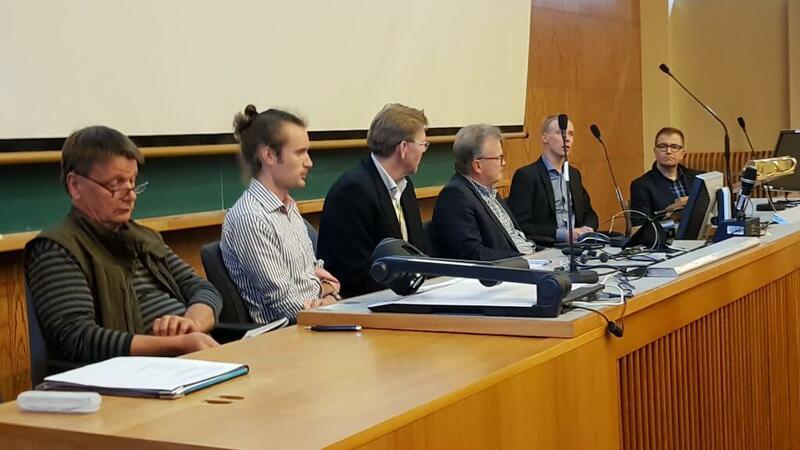 The panelists represented Natural Resources Institute, the City of Helsinki, Metsähallitus, Tapio, Metsäteho, Stora Enso and Finnish Forestry Center, all utilizing either laser scanning or products based on laser scanning such as forest resource information. The panelists described how they see laser scanning in the field of forestry and forest sciences, and also pointed out where research efforts are still needed. These included improving accuracy of estimates for species-specific forest inventory attributes and tree-size distributions as well as logging recovery. In addition, measuring quality attributes such as branchiness from standing trees was seen as important research topic by forest industry. Panelists discussing laser scanning and its opportunities in forestry and forest sciences. © Centre of Excellence.